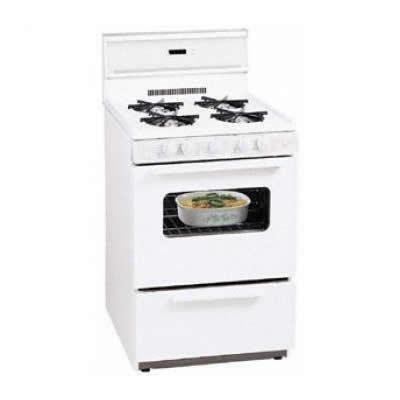 24 inch freestanding gas range. Electronic ignition. 10 inch backguard with tempered glass. Electronic clock/time. Bakeview oven door with window and light.